Metal/punk supergroup Teenage Time Killers confirm a special one-off U.S. performance taking place at the Fonda Theatre September 12. Tickets will go on sale this Friday, August 14, at 10 AM Pacific Time, but the presale begins tomorrow at 10 AM. Get tickets while you can! The star-studded show will feature Reed Mullin (C.O.C. 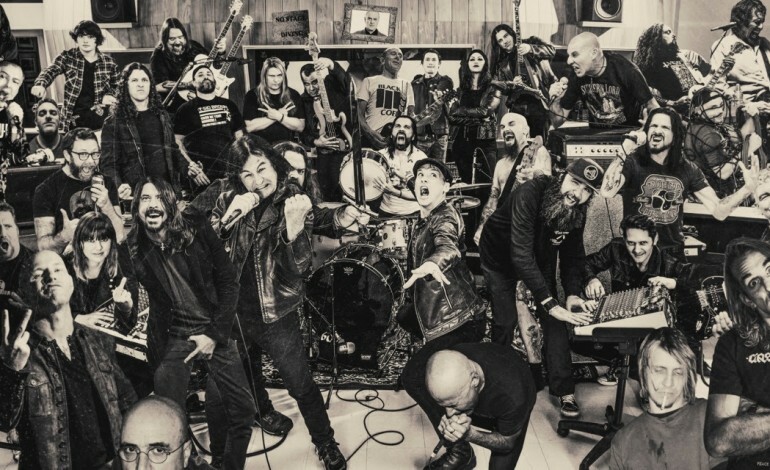 ), Mick Murphy (My Ruin), Randy Blythe (Lamb of God), Corey Taylor (Slipknot/Stone Sour), Neil Fallon (Clutch), Lee Ving (Fear), Tommy Victor (Prong), Vic Bondi (Articles of Faith), Phil Rind (Sacred Reich), Ron Beam (Red Fang), Tony Foresta (Municipal Waste), Clifford Dinsmore (Bl’ast! ), Tairrie B. Murphy (My Ruin), Jonny Webber (The Ghost of Saturday Night), Greg Anderson (Goatsnake / Sunn O), Pat “Atom Bomb” Loed (Brujeria / NIP Drivers), Karl Agell (C.O.C. ), and Trenton Rogers (Chaotic Justice), plus special guests! The band released Greatest Hits, Vol. 1 last month which melted together metal, horror pink and psychedelia. Reed Mullin said he hoped to organize shows that featured at least two-thirds of the band’s members, and now here it is. Don’t miss out on Teenage Time Killers next month!